1. 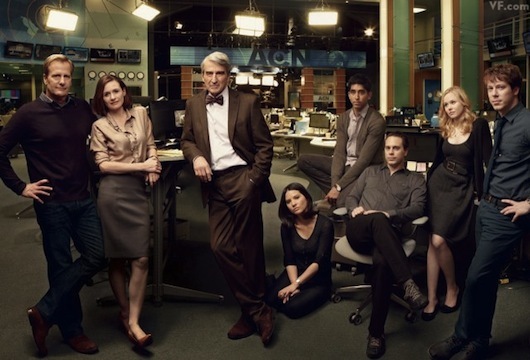 N and I watched The Newsroom last night (new show on HBO) and it was awesome. If you like Aaron Sorkin style scripts (quick, witty dialogue) the you should tune in. I have no idea whether it's realistic or not, but it makes journalism seem as though it could be noble again. 2. Last weekend, my husband put the finishing touches on our new wine bar in what was formerly a small, empty alcove in our dining area. It matches the kitchen perfectly (installed by previous owners) and he poured the cement countertop himself (with some help from yours truly). 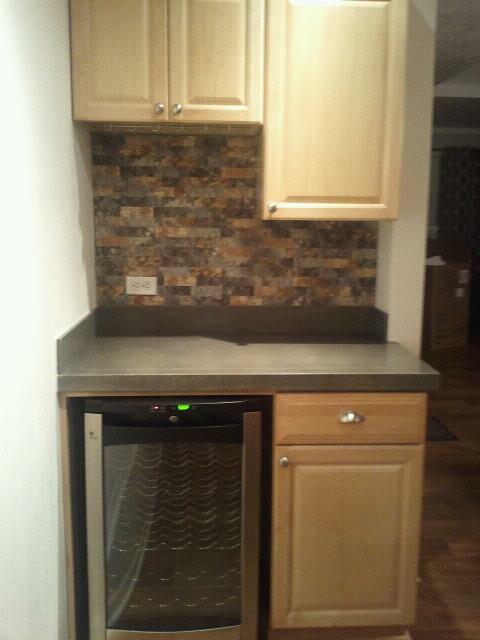 We're excited to have some of our kitchen cabinets back and I've had way more wine than usual this week because I can. I'm so proud of his mad DIY skills! 3. Need a baby gift for a little girl and want to spend under $20? 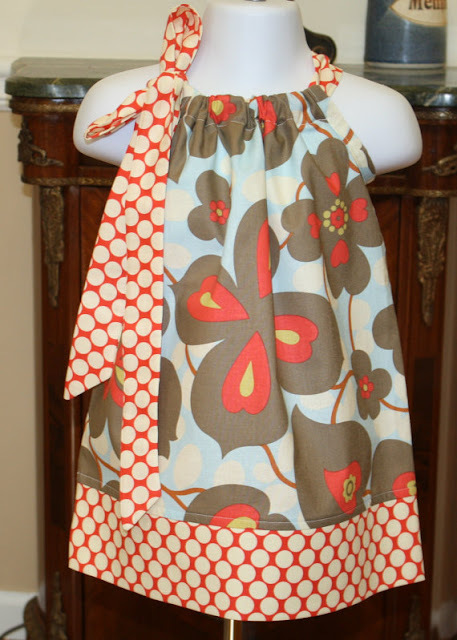 I'll let you in on my secret - pillowcase dresses in graphic fabric from Blake & Bailey on Etsy. You can't procrastinate since the dresses are custom made, but they're only $15 and always a hit with new moms. Plus, the dresses are totally adjustable so the top can be stretched out as the girl grows and it will turn into a shirt when she's taller. 4. I have been in the mood for a DIY project all week long, but unwilling to spend much or risk making another mess to clean up. However, I think this project is just the ticket for the boring nightstand in our guest room. 5. Last week I found a great black maxi skirt with a foldover waist (so it's not too long) for $24 at Nordstrom Rack and I am 100% converted, all doubts gone. Here's how I've already worn it (nothing revolutionary, but new to me). Hope your weekend is great! See you next week!